FANS of Willetton basketball leader Phil Nixon can vote for him in the People’s Choice category of the WA Volunteer of the Year Awards. Mr Nixon is president of the Willetton Basketball Association and his nomination was publicly announced yesterday. He told the Canning Times the nomination by Riverton MLA Mike Nahan did not sit comfortably with him initially, but he now sees it as recognition of the broader volunteering community. “It’s very much symbolic of a huge amount of volunteers that are in Willetton anyway,” Mr Nixon said. Dr Nahan said he had the pleasure of knowing Phil for the past decade and could unreservedly say that he could think of no one more deserving of this award. “Phil Nixon has been a phenomenal leader of the WBA and I urge members and the broader Riverton electorate to show their gratitude by voting for Phil in this year’s awards,” Dr Nahan said. 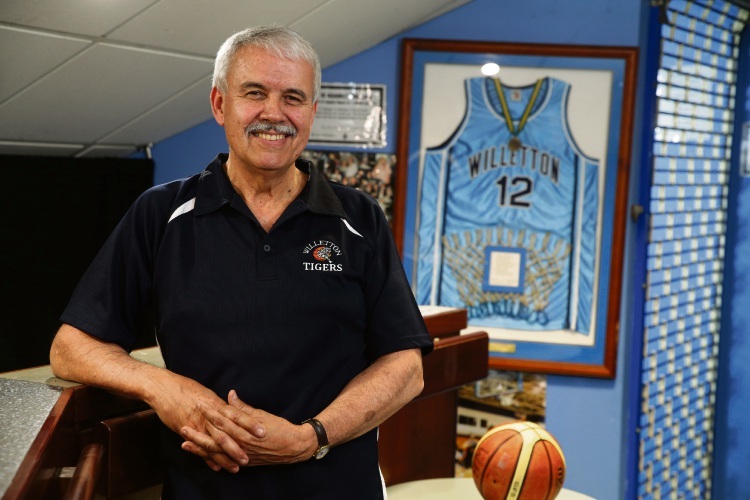 “Having become involved with the Association due to his children’s love of basketball, it is credit to Phil’s passion for the WBA that he remains deeply involved many years after his children ceased playing at the Willetton Basketball Stadium. Dr Nahan highlighted the professionalism and business acumen that Mr Nixon infused into the WBA that not only strengthened the Association, but was integral to seeing the stadium expansion become a reality. “Phil helped improve the WBA into a professional organisation that now manages over 450 teams, over 3500 members and 1000 volunteers, which is a monumental effort and a logistical challenge,” he said. Mr Nixon has been chairman of the WBA board for 19 years and held various roles within the club and at a state level for basketball. Mr Nixon is among 10 finalists. To take part in the voting process, visit https://www.judgify.me/public-voting/peopleschoice.